YOKOHAMA 1866 BANK NOTE CENTRAL BANK OF WESTERN INDIA: BANK OF WESTERN INDIA which operated during the period of 1842-1845 A.D. which bears a seen depicting town hall region of Bombay with St. Andrews Church.It also has palm tree the castle of Bombay along with few ships entering the Bombay harbor. This is issued for the value of Rs. 5/ and was canceled at several places on the note. The date on the note was May 18th 1844. According to the photo in the catalogue the signature portion of this Indian Note was eaten away by the black ink used on the day of the issue. The Central Bank of Western India was an important issue of the bank note throughout the world because it has a combination of links? with three nations. 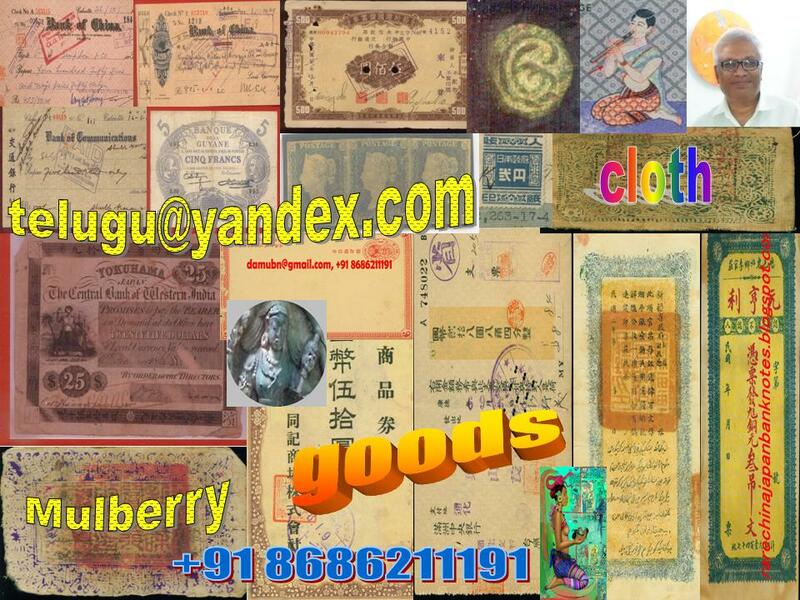 They are Japan, America and India, because of the high value denomination for which it was issued that is for 25$. This was a period of Turbulence in Japan, the attempts by Western States by many European nations along with America failed to achieve the trade relations with Japan diplomatically. BANK OF WESTERN INDIA which operated during the period of 1842-1845 A.D. which bears a seen depicting town hall region of Bombay with St. Andrews Church.It also has palm tree the castle of Bombay along with few ships entering the Bombay harbor. This is issued for the value of Rs. 5/ and was canceled at several places on the note. The date on the note was May 18th 1844. According to the photo in the catalogue the signature portion of this Indian Note was eaten away by the black ink used on the day of the issue. The Central Bank of Western India was an important issue of the bank note throughout the world because it has a combination of links? with three nations. They are Japan, America and India, because of the high value denomination for which it was issued that is for 25$. This was a period of Turbulence in Japan, the attempts by Western States by many European nations along with America failed to achieve the trade relations with Japan diplomatically. Indian Note was eaten away by the black ink used on the day of the issue.